Overview: Welcome back to the underwater adventures of Aquaman, King of the Seven Seas. With his sidekick, Aqualad, they do their best to protect the oceans (and the Earth) from alien invasions, mad Greek gods, and magical imps. The early stories continue to be one-and-done tales. The book takes a big turn with issue #11, as we are introduced to Mera, an exiled queen from another dimension. She has the ability to manipulate hard water in both defensive and offensive attacks. Aquaman is instantly smitten by this red-haired beauty, and the two are inseparable, often to the detriment of Aqualad. This volume concludes with the birth of Arthur Curry, Jr., otherwise known as Aquababy. With a wife and son at home, that leaves very little time for Aquaman to be hanging out with Aqualad. Hopefully we can resolve that issue in the next volume, too. Why should these stories be Showcased? : Let’s start with a positive – this is a much easier collection to read compared to Volume 1. It’s still not a great read, especially early on in this volume. What makes this volume interesting is that this is the first character where DC actively started moving a character forward into an ongoing storyline. Mera is introduced in issue #11. 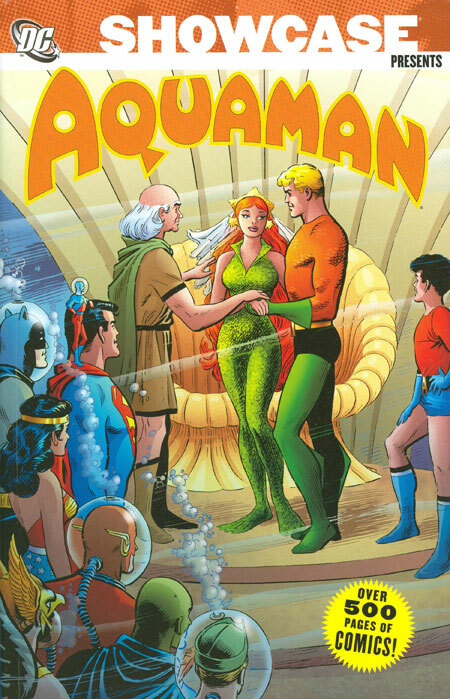 Aquaman and Mera are married in issue #18, with his JLA teammates in attendance. Aquababy is born in issue #23. (Remember, Aquaman was a bi-monthly book, so everything is on the up-and-up.) We also see a similar progression with Barry Allen in the pages of The Flash, but Aquaman was the first. 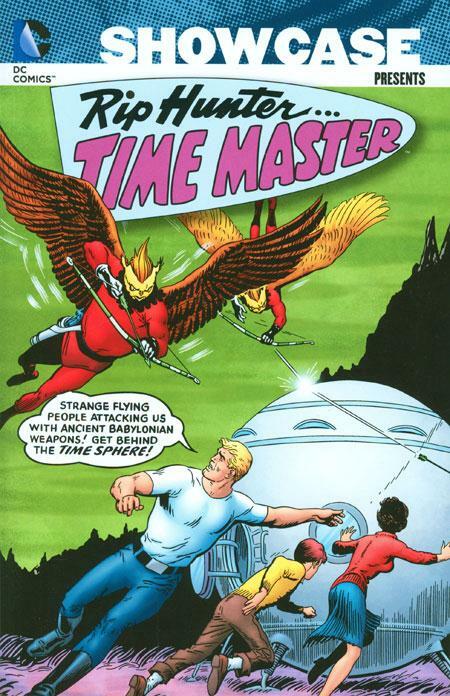 Footnotes: The Brave and the Bold #51 is also reprinted in Showcase Presents Hawkman Vol. 1. If you like this volume, try: the Aquaman series by Peter David from the 1990s. David wrote the 4-issue Aquaman: Time and Tide mini-series in 1993, which explored Aquaman’s origins in relation to David’s previous work, The Atlantis Chronicles. 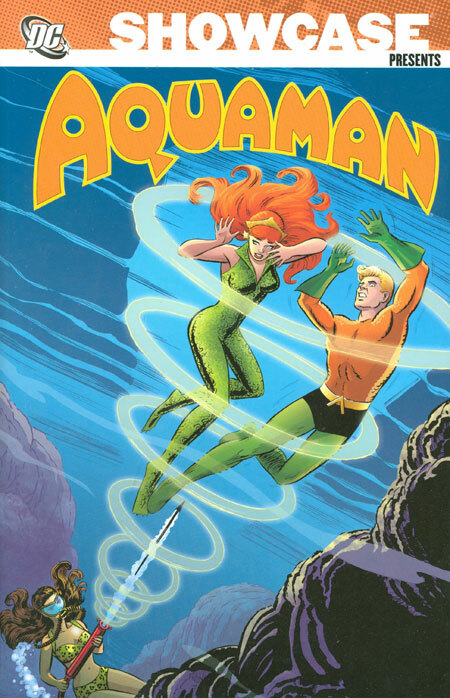 Based on the success of the mini-series, DC launched a new ongoing Aquaman series in 1994. David would write this title for nearly 4 years. This is the notable storyline where Aquaman lost his hand to a piranha attack, and replaced it with a harpoon. The Aquaman presented here is the angry ruler of Atlantis that should be respected and feared, which helped distance the character from the Super Friends version that could only talk to fish. As good as this series is, DC has failed us (to date) with no trades collecting this run. The Time and Tide story can be found in trade, but you will need to dive into the back issue bins to find the ongoing series issues. Overview: The Teen Titans return in their second Showcase Presents volume to continue their adventures as the heroes-in-training for the next generation. 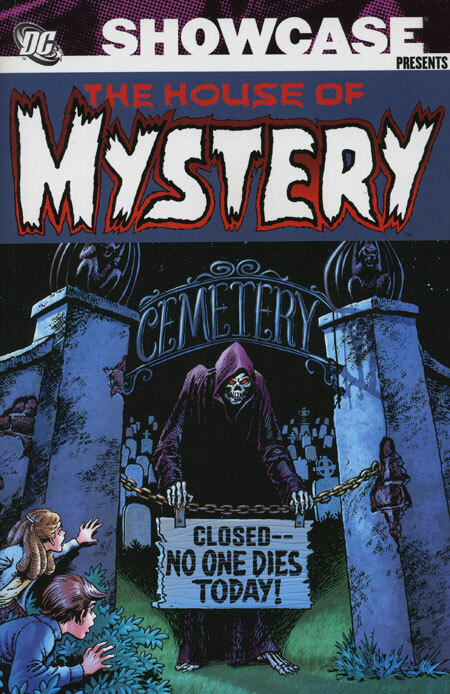 This volume kicks off with issue #19, which featured a line-up change. Speedy officially joins the team as a regular member, after making some cameo appearances in the past. At the same time, Aqualad leaves the team to return to Atlantis. (Maybe it was too hard to write tales that provided Aqualad a chance to swim?) Aqualad still makes the occasional appearance, and short return stints from time to time. In addition to Speedy, some new faces start hanging out with Teen Titans. The pre-cog Lilith joins the team, but never develops a formal costume to wear. That would later inspire the Titans to handle some future cases in their street clothes. Lilith had been working for Loren Jupiter, who would come onboard to help fund the Teen Titans. Mal Duncan proves his worth to the team, although he does not have any super powers. (Much later, Mal will go through a couple of costumed identities in the mid 1970s when the Teen Titans returns to the publishing schedule.) Finally, Hawk and Dove make a visit to the Teen Titans, but do not join up until the short-lived launch of Titans West. These stories still remain for the most part as one-and-done, so you do have the option of skipping ahead to stories that may interest you more than others. Naturally, I’m going to encourage you to read it cover to cover, but you do what you want! Why should these stories be Showcased? : I believe that this is a better volume than Showcase Presents Teen Titans Vol. 1. The stories are not as corny, as they start dealing with real issues of the time, such as the Vietnam War. 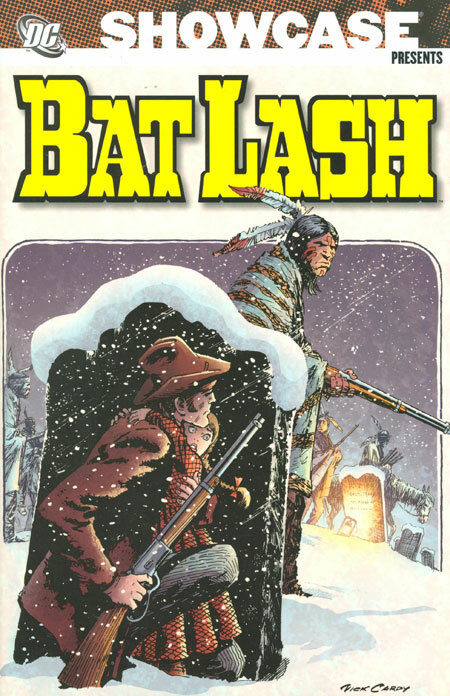 Adding Lilith and Mal Duncan provided a much-needed diversification to the white male dominated books of the time. There are issues that Robin does not appear and the stories do not suffer without the most visible Titan included. The art in this book is just spectacular, with highlights from Adams and Cardy. This is a very good book, so pick it up and give it a look. Footnotes: The Brave and the Bold #83 is also reprinted in Showcase Presents The Brave and the Bold Batman Team-Ups Vol. 1. 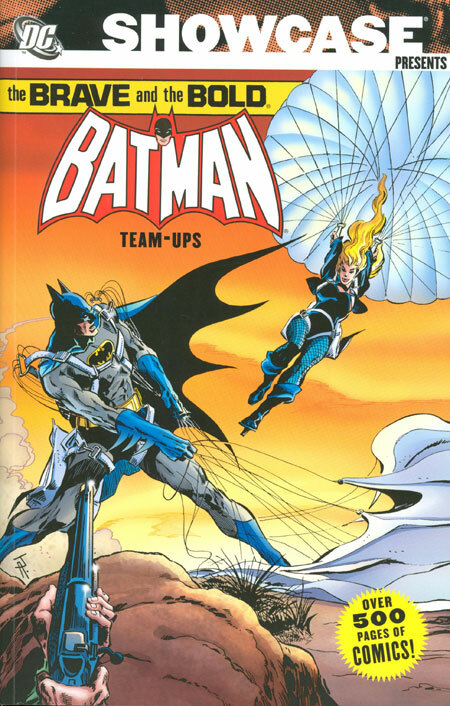 The Brave and the Bold #94 is also reprinted in Showcase Presents The Brave and the Bold Batman Team-Ups Vol. 2. This Showcase Presents volume ends with Teen Titans #36. 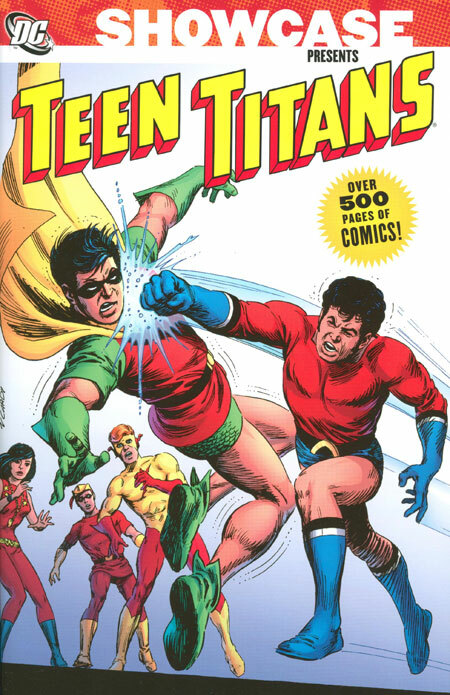 The Teen Titans series came to an end in early 1973 with issue #43. The Titans were brought back in 1976 as part of the DC Explosion, continuing the numbering with issue #44. That run came to an end with issue #53, as part of the DC “Implosion” of the late 1970s. If you like this volume, try: the 1980 New Teen Titans series from Marv Wolfman and George Perez. This is THE Teen Titans series to read! The new line-up was a mixtures of original Titans (Robin, Wonder Girl, Kid Flash, and Beast Boy/Changeling) and new characters (Cyborg, Raven, and Starfire). Wolfman took a more serious approach to the stories, introducing real threats well beyond the goofiness of “Mad Mod” from the 1960s. For example, Deathstroke the Terminator (the primary villain on CW’s Arrow show) was introduced in New Teen Titans #2 and became the primary threat for the Titans over the entire 15-year run by Wolfman with the team. The characters grew up, changed identities, married, had children, and experienced all of the trials and tribulations of normal people. This has been collected multiple times, from Archives to Omnibus. A new trade paperback of the initial issues is coming out later this fall if you have not read these yet. Personally, my favorite storyline from this run is The Judas Contract, which should be required reading for any Teen Titans fan.